Business Lawyer Denver, Attorneys | Semler & Associates, P.C. Semler & Associates recognizes that the legal issues you face as a business can be diverse and challenging. An important part of our job is to determine which parts of the law are really relevant to your business strategies and disputes. You may need help determining what kind of legal steps you need to take as you prepare to start a new business. You may have a major contract to negotiate and draft or a deal that needs to be documented in a way that protects your rights. You may simply need to have an existing contract reviewed to verify your rights and obligations. You may have a dispute with a customer, a vendor, a landlord or an employee. You may want to prevent, or have to deal with, a dispute between co-owners of the business. You may have received a demand letter from a lawyer, been served with a lawsuit, received an audit letter from the IRS, or been advised that a regulatory agency wants information or believes that you have done something wrong. We help you solve your problems regardless of the form they take. We can help you run your business in a way that prevents disputes, limits liability, minimizes your tax burden and puts you in a strong position if litigation arises. We can help you review business opportunities and explore various negotiating strategies. We also have a wealth of experience handling lawsuits involving allegations of fraud related to business investments, disputes among business owners, business-to-business contract disputes, construction litigation, litigation over trademarks and non-competition agreements, and defending the rights of those who have guaranteed loans. Our approach balances a firm understanding of what works both in document drafting and litigation tactics with an ability to provide counsel regarding what deal terms or approaches to business disputes make sense from a business perspective. In business transactions, we know that your goal is to get the deal done without agreeing to something that wasn’t really part of the bargain. We can do that. 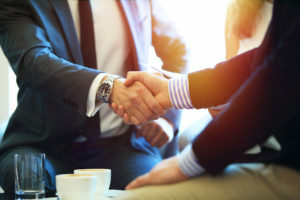 More than that, we can also tell you if it looks like you are negotiating a deal that is less favorable compared to others we have seen and that may be available to you through additional negotiation. 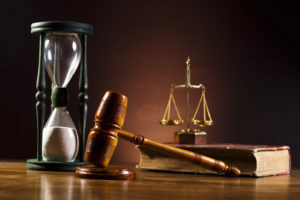 In litigation, from a business client’s perspective, it is important to recognize the value of fighting a dispute that will have collateral consequences in the future or settling a case and treating it as a cost of doing business when it makes sense to reduce litigation costs, business owner time and uncertainty. We understand the value of a timely settlement when one is appropriate. We also understand the value of an experienced trial lawyer when litigation is required. Regulatory compliance and investigation response for real estate professionals, appraisers, mortgage brokers, bars and taverns, and horse owners, trainers and jockeys. The experienced business law experts at Semler & Associates work with corporations, limited liability companies, entrepreneurs, non-profit organizations, employees, shareholders, members and any other group or individual who needs assistance in resolving a business dispute or in day-to-day business operations. If you are building a new business from the ground up or expanding an established brand and have questions about business strategies, or if you are faced with litigation or regulatory investigation and have questions about your rights and obligations, contact business lawyer Denver Semler & Associates, P.C. to schedule a consultation to discuss the ideal options for your business needs and professional goals.